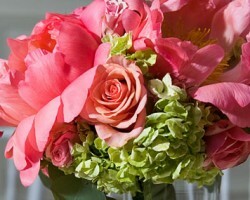 Sweet Peas is a group of florists in Saint Paul, MN that offers the most gorgeous bouquets, décor and wedding flowers. With specific wedding services, you will be able to work with an experienced team to choose the flowers that suit the style of the occasion and match the color theme of the event. The experts will help you personalize the arrangements to make the décor even more special too. 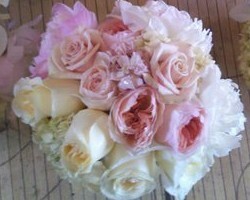 You will love being in control of the floral design and the detailed setup of the flowers. The flowers that you have on your wedding day should be the most beautiful and the most colorful to reflect the significance of the occasion. This is why so many Minnesota brides go to Soderberg’s Floral & Gift. Since 1925, this Saint Paul florist has been providing bulk wedding flowers as well as custom creations for celebrations in the area. You can order as many flowers as you would like, knowing that the rate will always be reasonable and the final effect of having such beautiful blossoms will be spectacular. 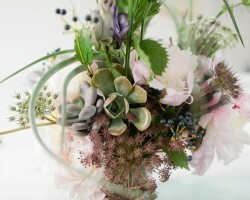 Fleur de Lis offers more than most other local flower shops in the area as this boutique is focused on floral design. This means that when you come to this team with a request for your wedding, they will work collaboratively with you to come up with unique designs and a personalized style that will tie the flowers into the rest of the décor. For over 35 years, this company has been providing fresh garden-style flowers for weddings so you can be sure that they will not disappoint. 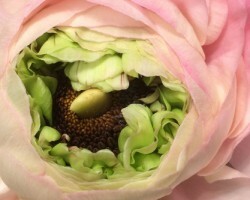 Reviews of Martha’s Gardens make it clear that this is a floral design company that goes above and beyond to make the floral accents on your big day even more amazing than you could have ever thought possible. From the bride’s bouquet to the petals thrown by the flower girl, each design aspect will perfectly fit the style of your big day and your personal taste too. Though this is not the most affordable option, it is the only way to be sure your wedding will have the perfect flower arrangements. You can hire the services of Chez Bloom for same-day flowers delivery in Saint Paul or you can have them complete the all of the floral accents for your wedding. The talents of this team truly know no bounds. They can accommodate for your personal style and any color theme that you would like to stick with too. With a fresh selection and creative and talented designers, your wedding flowers will always be unique and will help to make your big day even more memorable.